We’ve heard it straight from the mutt’s mouth! 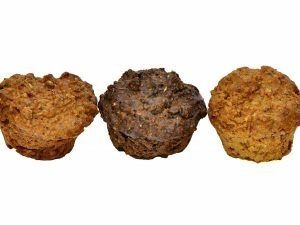 Liver Mutfins are by far our most popular home-made, oven-baked dog treat, with the rich, powerful liver taste dogs adore with the lighter, chewable muffin texture. 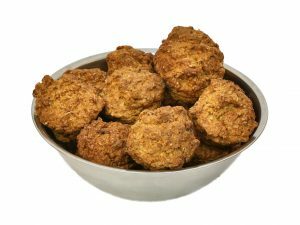 These are a very pleasurable way of adding some organ meat into your dog’s diet. 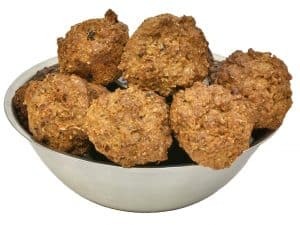 Ideal for: older dogs, little dogs, dogs with teeth or mouth issues, growing dogs, fussy dogs (seriously, these are a HUGE hit) and just about any dog can benefit from a liver rich diet. To make Liver mutfins we start with Zoe’s high protein formulated mix. Free range eggs, sunflower oil, fresh organic turmeric and home-cooked bone broth and fresh beef livers. 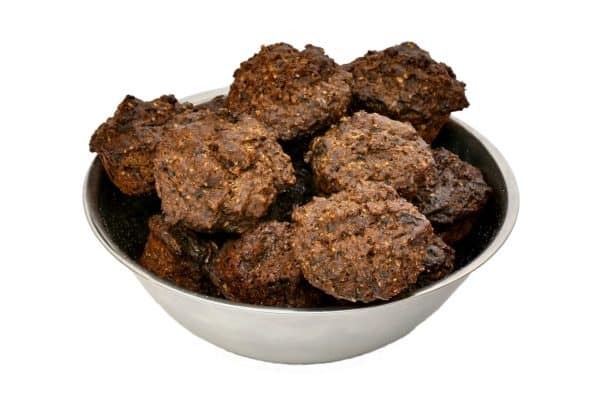 Liver is a superfood in your dog’s diet. Not only is it low in fat, but it is also jam-packed with essential vitamins and minerals. Vitamin B1 (Thiamine) for Cardiovascular health, neurological health, eyes, vitality, metabolic system. Vitamin B6 – Serotonin production (for happiness! ), healthy blood, immune system, neurological health, hormone regulation and cardiovascular health. Vitamin B12 – Healthy metabolism, healthy pregnancy, energy levels. Vitamin A – Bone growth, healthy teeth, reproduction, skin, hair and mucous membranes.